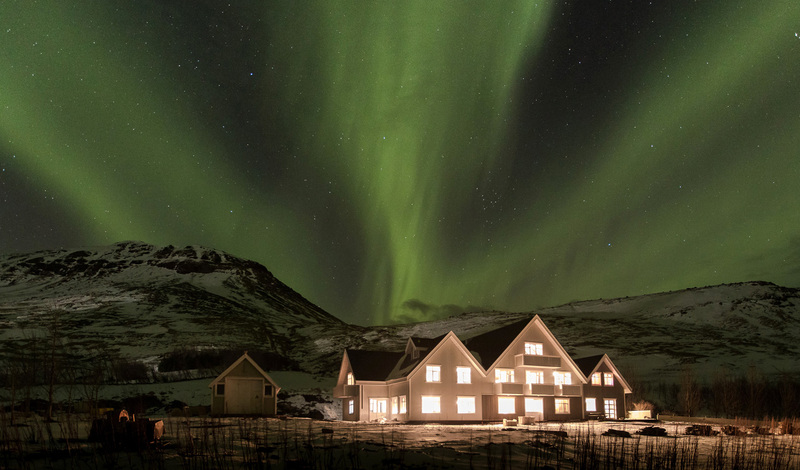 Taking you back to nature amid the heart-pounding wilderness of the Icelandic countryside, Skálakot is a rustic hideaway with a touch of 1920s art deco glamor. A family farm turned luxurious manor hotel, this is somewhere where you can walk in, slip off your shoes and feel at home. 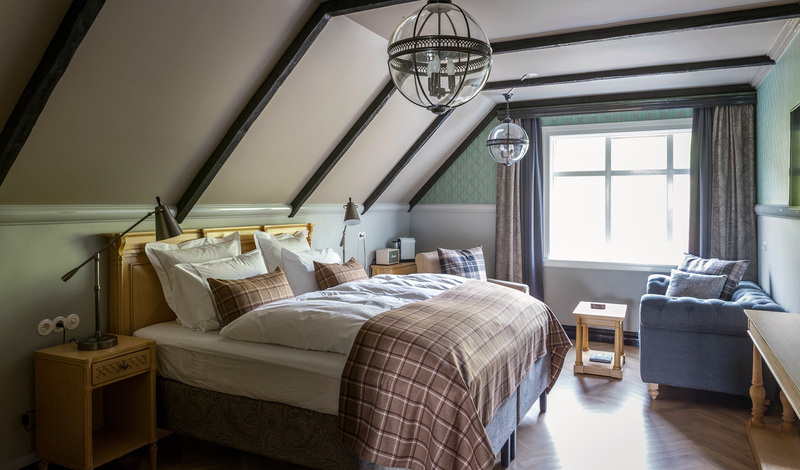 Offering just 14 rooms and suites, Skálakot indeed feels more a spacious family home than it does a hotel. Return after an action-packed day in the great outdoors to the homely yet refined dining and the crackle of a fire. A boutique property through and through, each of the 14 rooms and suites at Skálakot is unique in design whilst consistently honouring a fusion of luxury and modernism. Soft checks and feature wallpaper give a cozy feeling, while Marshall stereos and anglepoise lamps bring that unexpected edge. We love the Master Suite with its views out to the Vestmann Islands, the cozy fireplace in the corner and the statement bathtub in the center of the room; it feels like a real home from home.